In a conversation with Ajita Shashidhar, Kishore Biyani, Chairman, Future Group, gets into details of his vision for his FMCG business. 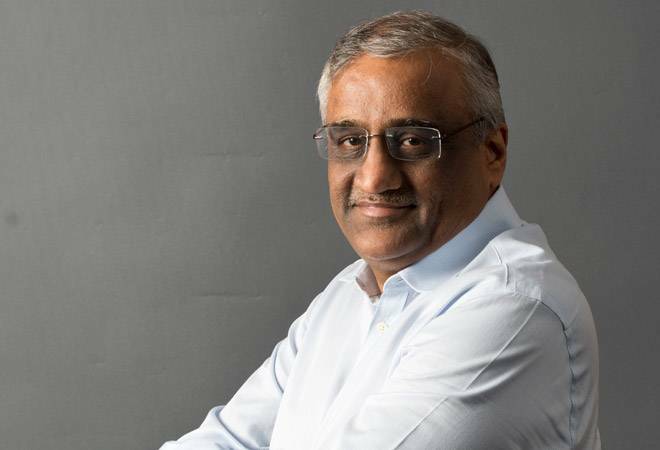 King of retail, Kishore Biyani, recently announced his retail 3.0 plan, where he talked about making his retail empire worth $1 trillion in revenues. The next round of growth, according to Biyani, will come from integration of his physical stores with a high level of personalisation through predictive and analytical technologies. To begin with, the plan is to set up 10,000 EasyDay tech enabled stores by 2022. While these stores would initially be a one-stop destination for the grocery needs of consumers who would be encouraged to become members of the store, it would eventually serve as a market place and give them access to the retail company's entire inventory. While this ambitious retail strategy has grabbed headlines, Biyani, behind the scenes is aggressively scaling up his Rs 2000-odd crore FMCG (Future Consumer) business. Like his retail business, he has set an ambitious target of scaling up Future Consumer into a Rs 20,000 crore entity by 2021. Will he be able to do it? Will he be able to enter into the bastion of giants such as HUL, Nestle and Godrej? Biyani says that he is a 'new-age FMCG company with a difference. BT: You say that Future Consumer is a 'new-age FMCG company with a difference'. How are you different? Biyani: FMCG companies in India are born differently and they think differently. We believe we can bring down the cost of distribution to sub 20 per cent, and that's the premise we built this company. Our cost of retailing is anywhere between 13-18 per cent and our ad and promotion spends will be substantially lower too. We can operate at 2-3 per cent. BT: Can you afford to have such low ad and promotion spends? Biyani: I only want good scale and we already have a reasonably good scale, which we will demonstrate. We want to surprise next year by growing more than 80-90 per cent. That's the kick of life right now how many products we have developed, how many platforms we have developed and now on these platforms we want to grow. That's something which nobody will dream off or attempt to do. So, coming to how different we are from the rest, we don't want to fight a war where we don't have ammunitions. That's an opportunity. We are trying to create a new generation company which thinks differently. We have our own laboratory platforms. Foodhall is a laboratory where we experiment, learn about the new trends. With Big Bazaar, EasyDay, Nilgiris, Heritage and Aadhar on rural distribution, we have been able to build a rhythm now. Our brand, Desi Atta, will be a Rs 300 crore brand in three years. We have created a WhatsApp group on Desi Atta. If you read it, it's all about how much business we are doing and how much we will do. Every day, I get a number, this is yesterday's number (he points out at the Desi Atta group on Whatsapp) of how much we sold and where, how it was displayed etc. The margins in atta, are 55-60 per cent. There is a crazy war happening out here. BT: But aren't other FMCG companies also doing atta? Biyani: Atta is where diversity of India shows up. In some places ragi atta does well, elsewhere jowar atta does well, now this is the season of makkai ka atta. So, we have 59 varieties of atta. The response has been fantastic as nobody else is there in this country who can give 59 varieties of atta. Similarly, we are giving body-wash at the price of a soap. We have launched our own tea, we have our own dry fruits. Kosh, our flavoured oats brand, will be a Rs 100 crore brand. Kara is launching face masks. In the next calendar year we will have a plethora of new launches. We have 27-odd brands, which have been built in the last 7-8 years. We are launching SKUs like crazy. We are into every category. Next year will be our test year. BT: When you say that you are filling up gaps, what kind of research do you do? Biyani: We know through the sales out of the store what product is doing well, what isn't, how can we fill a gap. For instance, I can't get into soaps, so I am doing body-wash. Our market share in tea which is the most difficult category is touching 25-30 per cent in our stores. We are launching more variants to take it to another level. BT: How difficult is it to make the transition from a private label retailer to a consumer company? Biyani: We never thought that way. It's the media which looks at us from that lens. Our organization is always designed around brands. In fashion we have always done that. People used to treat us as private labels, but we are a brand company, we have brand thinkers. They are all separate. We will never sell in one store, we sell our products in multiple formats. BT: Why body-wash and not soaps? Biyani: It's so easy. Soap is such as huge market in India. The larger FMCGs can't kill the market, and they are the people who have bodywash brands. So, they have priced it very expensive. Who will break that? It's easy to be broken as there is enough market. They don't want bodywash to pick up volumes, we think we can beat it because they can't beat their own category. BT: How do you plan to distribute these products in the traditional stores? Biyani: We are building a wholesale distribution network - Aadhar Wholesale. We are opening cash and carry stores. We have more than 12 cash and carry stores already. There is a team in place, ordering is done on mobile phone, accounting is on mobile phones. Earlier, we were tying up with Bookers but that JV didn't happen because Bookers merged with Tesco. We have created a network in Rajasthan, Punjab and Gujarat, and we are making kiranas members and we are making them shop. We are already supplying to PDA stores in Rajasthan. We have 60 Aadhar Open stores in a population of less 100,000. We are taking over fair price in a few districts in Andhra. BT: How do the acquisition of the various retail companies that you have done in the recent past tie up to the overall consumer business story? Biyani: These acquisitions help in distribution in a way. BT: Which would be the pillars of growth in your FMCG business? Biyani: Atta, tea, soap will be our hero categories. We sell 5 crore units of soap (body-wash) in our stores alone, which is huge. Dairy is going to be a big business. We are launching cold coffee and we will sell 100,000 bottles a day. We are already into ghee and yogurt. In bakery, we have a good range, in ketchups and dips we have a good range. In centre of plate we are the best. In processed food we are launching new items. Again we are strong in home care. Our brand, Clean Mate, does very well. We are also getting into personal care and fabric care. BT: How do you get the kirana stores to buy at your cash and carry? Biyani: Woh ho jayega (That will happen). All products may not sell but quite a few will sell. We will do only wholesale cash and carry and not through distributors. The distributor route is very expensive. We are looking at a low cost route. BT: What kind of a reach are you looking at? Biyani: That's not a kick of life. I am not in a hurry to reach out to the nook and corner of the country. BT: You seem to be back into the growth mode? Biyani: We are back into the growth mode. In yesteryear, we were here and there, scattered. This time we are only doing what we want to do with lot of insights, lot of data, full stated strategy and a balance sheet in place. We will be in growth mode, but calculated growth. We have every ingredient to make growth happen. It's not with debt or equity. We have the cash flow to make growth happen. BT: Your consumer business seems to be more inclined towards the urban markets. Am I right? Biyani: We are building the consumer business with majorly the urban audience in mind. The cost of distribution in rural is too high. We don't want to get into areas where the cost of distribution is too high. BT: How are you different from other Indian FMCG companies? Biyani: Nobody has as many stock keeping units (SKUs) as we have. ITC is the only one who is trying it. BT: What are the lessons that you have learnt from the past? Biyani: Last time we didn't have such a growth story, we didn't have so many platforms. Today, we have a robust tech platform. We understand food and technology as a business, we have customers, data and a very strong balance sheet. BT: How big is the fashion business? Biyani: In terms of number of garments, we are aiming at 30 crore garments by next year. This will take us to top 10 in the world. This year we are at 20 crore. We are becoming strong in footwear. If we compare our portfolio in footwear, we may be larger than the rest. We also have our electronic business. We have our brand Koryo there. By next year it should be a Rs 500 crore brand. BT: What kind of challenges do you expect from the bigger brands? Biyani: We have our own business, our own customers and brands. We will be doing strategic alliances with other brands, as we believe we can give them distribution. BT: People tend to compare you and the D'mart founder, Radhakrishna Damani. What's your take? Biyani: We shouldn't be compared with DMart at all. They are a low cost operator, limited SKUs, they do it very well. We are very complex. That's our speciality, as you can't be the same. This is a long term game and India needs many players. BT: You have charted out a rather ambitious growth story. Don't you see the debt story repeating itself? Biyani: It's for all of you to comment. The debt story started because we got into NBFC. The NBFC business is to borrow and give, to some extent, we were victim of that.